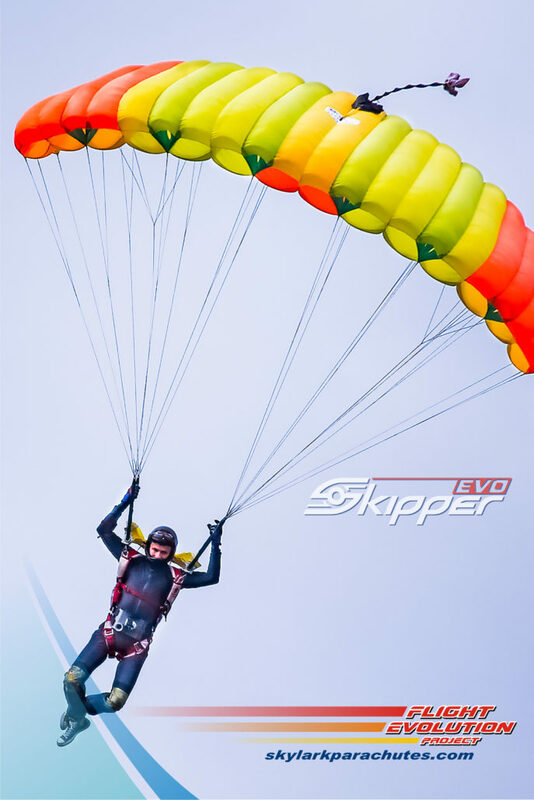 Skipper EVO – modern 7-cell main canopy of universal purpose with high flight characteristics..
Skipper Evo – canopy with the unique combination of flight characteristics in its class – perfect choice for wing suite pilots. 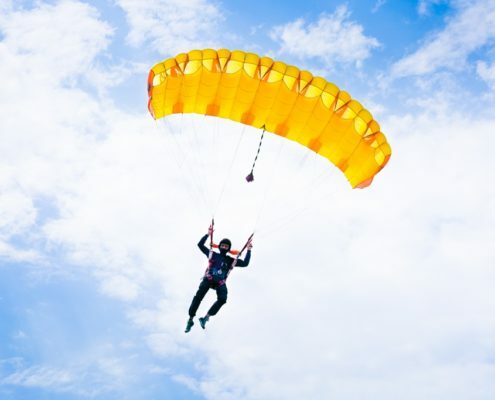 Due to Evo design, the canopy has softer, but at the same time brisk openings with minimum loss of altitude. 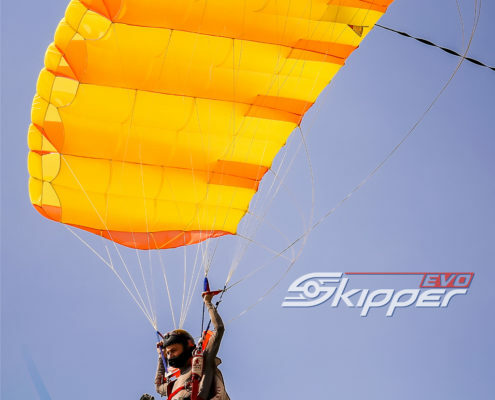 Increased glide ratio makes Skipper-Evo a great tool for getting back from that long spot everyone occasionally finds themselves in. 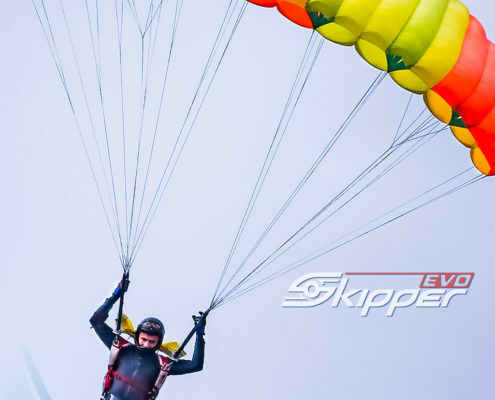 Skipper-Evo can be loaded as light as 1.0 sq.ft/lbs and all the way up to 2.0 sq.ft/lbs. Skipper-Evo is a great first canopy at the lower wing loading. 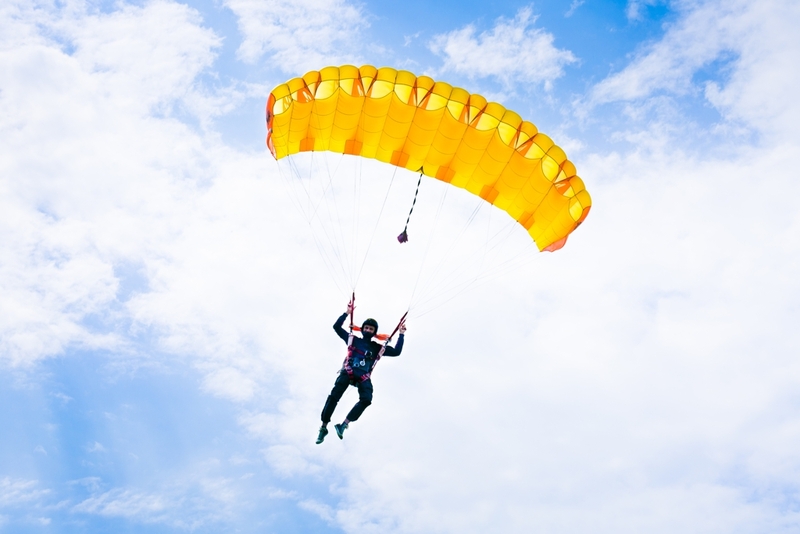 In the middle of wing loading range, canopy pilots will appreciate precise and light front risers. 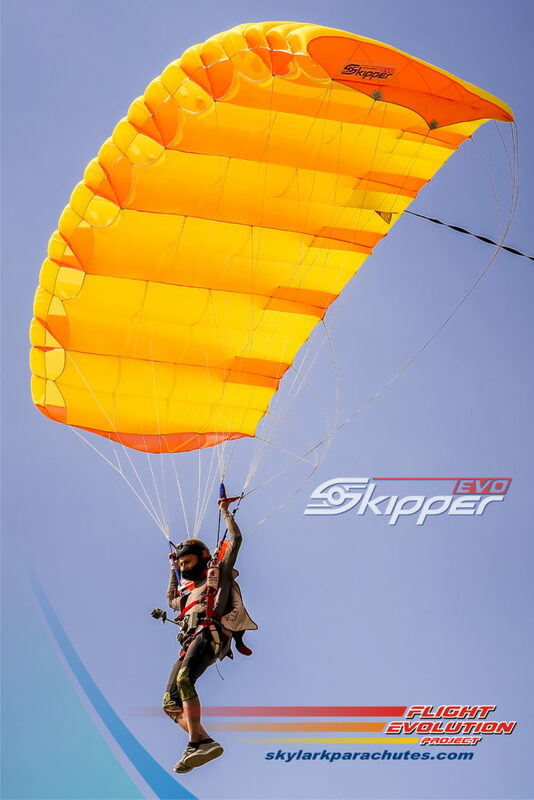 Swoop lovers, that like their wings loaded heavy, will definitely love to fly their Skipper-Evo, using very responsive rear risers.